Exxon Mobil Corporation announced today that its shareholders have elected Doug Oberhelman to its board of directors. 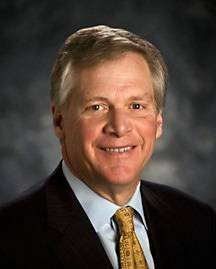 Oberhelman is chairman of the board of directors and chief executive officer of Caterpillar Inc.
With the election of Oberhelman, the ExxonMobil board stands at 12 directors, 11 of whom are non-employee directors. Oberhelman was named CEO and chairman of Caterpillar’s board in 2010. Prior to that, he served as group president of various divisions within Caterpillar from 2002 to 2010, and was elected a Caterpillar vice president and chief financial officer in 1995. Oberhelman earned a B.A. in finance from Millikin University. He serves on the executive committee of The Business Roundtable, is a member of The Business Council and is a former chairman of the National Association of Manufacturers. He is vice president of the Wetlands America Trust, a member of the Nature Conservancy’s Latin American Conservation Council and chairman of the board of trustees for the Easter Seals Foundation of Central Illinois. He has also served on the boards of Eli Lilly and Company and Ameren Corporation.